After flourishing in the early 90s and then being derided pretty much from the Britpop-obsessed mid-90s onwards, the shoegaze genre has enjoyed something of a critical reappraisal in recent times. Last year saw the first new records in a long time from both Ride and Slowdive, but the seeds had been sown back in the earlier part of this current decade, with the likes of Anne, Whirr and then Nothing joining shoegaze’s founding fathers My Bloody Valentine in bringing the style back from the brink. Lowtide, then, are ready to be spoken about in the same breath as those mentioned above. Their brilliant ‘Julia’ single from 2015 was a heavenly slice of early House Of Love-inspired pop, and built upon the work on their stellar eponymous debut album from the previous year. Now they unleash their follow-up, Southern Mind, on a world that is just that little bit more prepared for it, after some winning festival appearances and significant patronage from 6Music. The band’s palette is more at the ‘Catch The Breeze’ end of the shoegaze spectrum than the ‘Feed Me With Your Kiss’ one, textures gently revealing themselves throughout the course of the album and on repeated listens. It’s quite a subtle record in many ways. The title track opener announces itself gradually, layering drums, bass and dreamy guitars for almost two minutes before Lucy Buckeridge’s gorgeously fragile vocals arrive. It turns out that the ‘Southern’ in the album’s title relates to South Australia, with the band hailing from Melbourne. ‘Alibi’ comes next and is an obvious first single from the album, its upbeat, sunny melody being the most commercial moment here, despite apparently being about a relationship burning out and the subsequent decision to stay or leave. ‘Elizabeth Tower’ is another catchy dream pop moment, while the (too) brief ‘Olinda’ dispenses with vocals and sounds like something that Cocteau Twins might have come up with in their 1986 purple patch which yielded both The Moon and The Melodies and Victorialand. This is A Good Thing. ‘On The Fence’, meanwhile, is the track on the album that takes root in the consciousness after a few plays, a beautiful melody in the toned down vocals, which float just under the surface, lyrics seemingly chosen as much for their feel as to be, you know, about something. 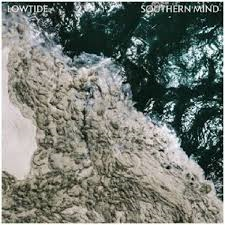 Lowtide have picked up the shoegaze baton, and while they have not necessarily taken the genre into any unexpected directions, they have created a very coherent album full of luscious soundscapes that also have that sometimes forgotten trick of really good tunes in the mix. Southern Mind is released via Opposite Number/Rice Is Nice on 16th February.